Hello Everyone...today's post is something I have been trying to pen down for few months, and I am glad I am finally doing it. If you are a regular So-Saree reader, you would know that I am born in a Marathi family but married into a Kutchi Family. The things with cross cultural and cross lingual marriages is that you get to experience the best of both worlds. But you also cannot deny that there are some things that you dearly miss. Being the self proclaimed foodie that I am I just cannot tell you, how much I miss my Maa ke Haath ka Bana Khaana. And today's post is an ode to my Mom's cooking. Marathi Cuisine is as illustrious as the history of Maharashtra and one cant just stop falling in love once they have tasted it. While the list of the Marathi food menu in Pune is long, I am writing about only those delicacies that are a must try atleast once in your lifetime. So today I am going to compile a list of Marathi dishes from Pune that you have to try whenever you visit Pune, Mumbai or say Maharashtra. 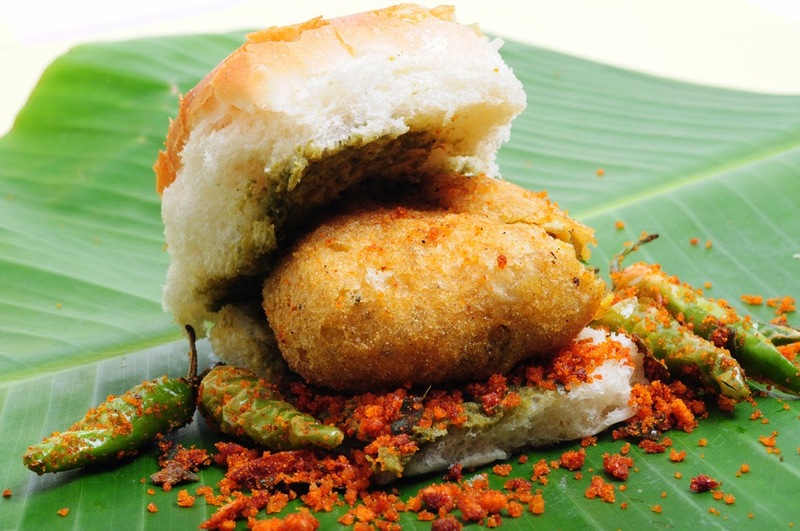 Maharashtra's answer to burgers is the humble Vada pav. It can also be called the staple food of most Mumbaikars. Seasoned and spiced smashed potatoes are rolled into balls and deep fried after dipping them in gram flour batter. These balls or wada's re then squeezed between a pav along with a peanut and garlic chutney. The result... a spicy, tangy and utterly delicious snack that can be gulped down even on the go. A variety of soaked and sprouted pulses like moong, matki, chana, etc are cooked in a flavorful, highly spicy and tangy curry made from tomatoes, onion and garlic. 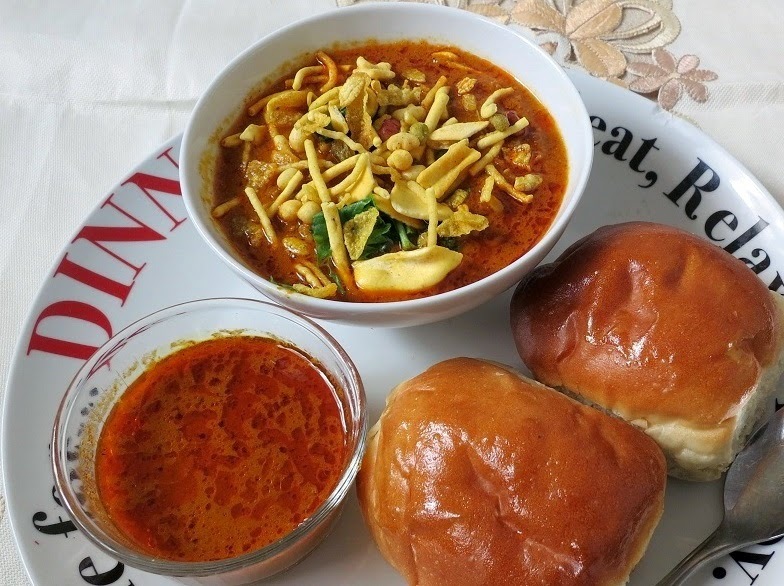 This curry called the misal is topped with diced onion and farsan and served with Pav. My mouth is watering even while I write this. You just can't miss this for anything and remember, carry loads of water and tissues while you try this dish, because this one will set your tongue on fire and bring tears to your eyes. But I promise those tears will be of happiness and contentment. 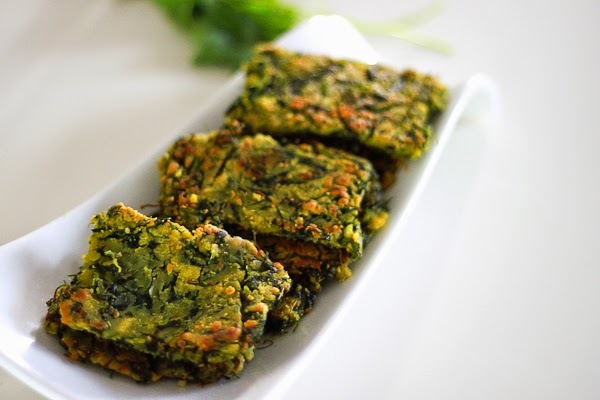 Kothimbir is the Marathi word for Cilantro. Freshly chopped cilantro is folded in gramflour batter with spices and steamed for a few minutes. They are then cut into pieces and deep fried before serving them with green chutney. This makes for a fantastic appetizer. This is a classic Marathi dish and is made during auspicious occasions like Holi and Gudi Padva. Puran poli is a stuffed flattened chapatti. The stuffing is called the puran and poli is a Marathi word for chapatti. The puran is made from boiled chickpea lentils mixed with sugar/jaggery and cardamom powder. For the outer cover a dough is made from refined white flour, milk and ghee. Small balls of puran are stuffed in the outer covering dough and rolled out to make puran polis that are roasted with ghee. Maharshtra's sweet version of dimsums and/or momos are the ukadiche modak. They are considered a favorite of Ganpati Bappa and is a compulsory prasad item during Ganeshotsav. 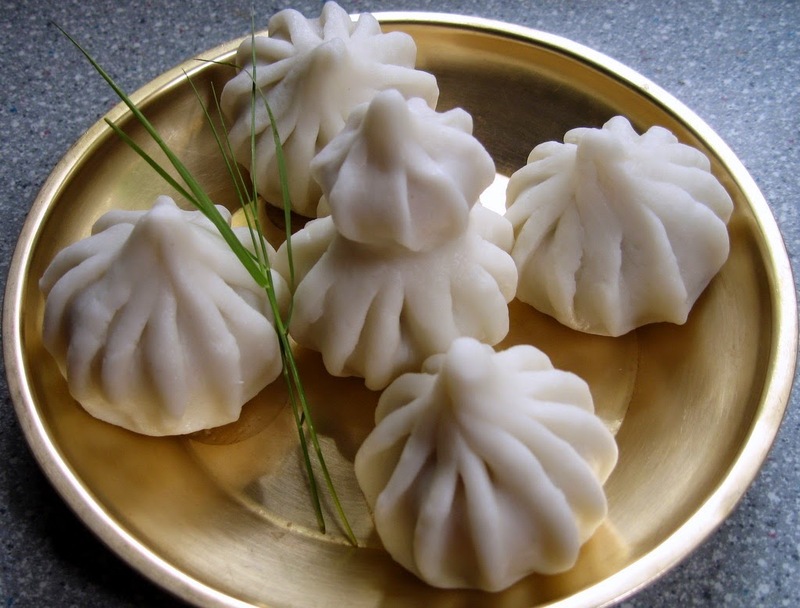 Ukadiche modak or steamed modaks are sweet dumplings made from rice flour and stuffed with a preparation made from grated coconut, jaggery and dry fruits. I bet you just cant stop at one. 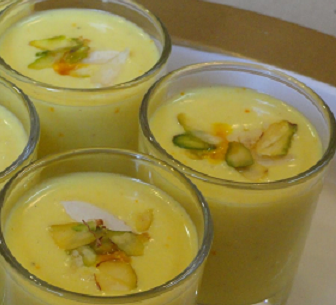 Piyush is a creamy and smooth beverage made from buttermilk and srikhand infused with flavors of cardamom, nutmeg and saffron. It is then refrigerated and served chilled. These is my list of the must try items of the Marathi cuisine in Pune. If you have any favorites or wish to add to the list, please leave your comments below. Wow!! !I have heard so much about puran poli..never had it..
Yummm :) I have tried all the food items except Piyush. Never knew about it will try it out this time.